These are the most common questions about working. There are short answers for each but if you do have any other question then email us. If you have any other questions about the work permit process or working while you are retired then speak to an attorney in Thailand about these issues and anything else you might not fully understand. You can also ask an attorney in Thailand about what you do not fully understand. Some of the most common questions might appear strange but an explanation is given below. What are the penalties for late 90 day reporting? The fine of 2,000THB and they place a red stamp in your passport. Don’t forget though that you are allowed a 7-day grace period once your 90 days is up. Can I change a marriage visa into a business visa to work? Can I add my child you my business visa? 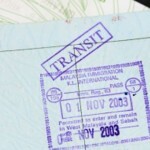 You need to obtain an “O” visa much like a marriage visa for your child when you come to Thailand. This visa will be extended with your visa to the expiration of your work permit. Is there an age limit in Thailand? There is no age limit for the work permit as many have obtained a work permit who are over the age of 60. Government schools and universities however have their own government rules which limits the age they are allowed to employ you at. Can I change employers with the same work permit? No, it would be best to start the process again. Leave Thailand and obtain a new business visa for Thailand with the documents from your new employer. It is much easier and simpler to complete. Who pays for the work permit? Most times the company who employs you will pay for the work permit. Do you need a degree for a work permit? No, you don’t. If you are going to be teaching then most times yes however in the rural areas of Thailand they tend to accept diploma’s for the work permit. You need to speak to your employer about this. If you are being hired for something else like a manager or the like then they will only need a resume to show your experience. Can I convert a tourist visa to a business visa for a work permit? Yes, but it can be testing. 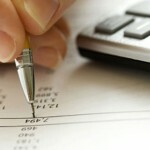 It is much easier to leave the country and obtain a business visa. Do you need a work visa from the Thai Embassy? There is no such thing as a work visa. The business visa is used to apply for a work permit once you are in Thailand. 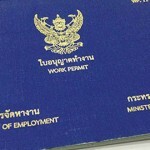 This is a common mis-conception in Thailand that you can work using a business visa.